Deschutes Brewery 2011 Hop Trip Arrival – To Brew a Fresh Hop Pale Ale. 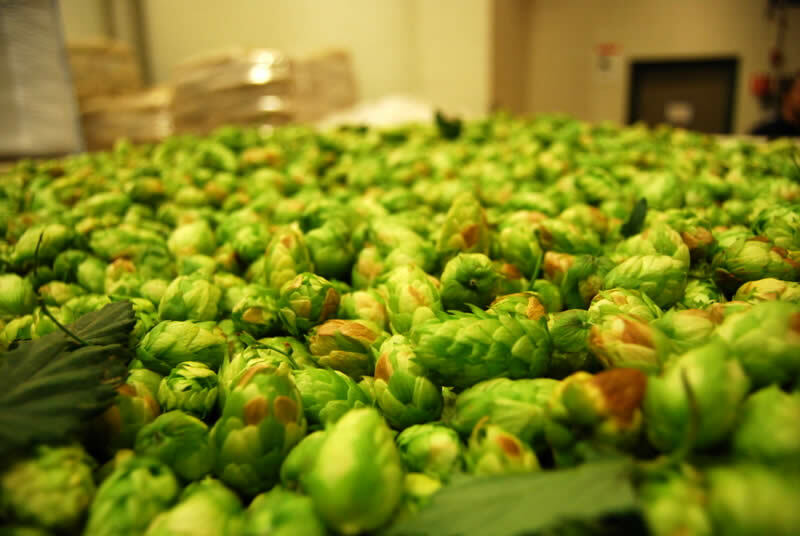 We had the chance to head over to Deschutes Brewery today and witness the arrival of the fresh Crystal hops used to make the 2011 Hop Trip. Walking into the delivery area the smell smacked me in the nose, it was delightful. The color is amazing, as you can see, a vibrant green sea of fresh hops. These hops were picked this morning at Doug Weather’s hop fields near Salem, are trucked directly to the brewery, come right off the truck, and are walked over to the Huppmann brew house to be used during the entire Hop Trip brewing cycle. This amazing brew is one of my annual favorites and if you can make it down to the pub the day this beer first comes on draft, I highly recommend it. The aroma alone is unspeakably wonderful. Follow the hops from the truck to the brew house in the full gallery of Hop Trip photos on our Bend Oregon Beer Facebook Page, there’s even video.